Dr. Uher wants to reduce the burden of severe mental illness. 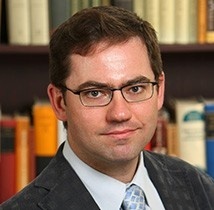 His research interests are early interventions to prevent psychosis, depression and bipolar disorder, psychiatric genetics, pharmacogenetics, the interplay of genes and environment in the causation of mental illness, classification of psychopathology, treatment of depression, and use of clinical assessment and biomarkers to personalize treatment. MacKenzie LE, Abidi S, Fisher HL, Propper L, Bagnell A, Morash-Conway J,Glover JM, Cumby J, Hajek T, Schultze-Lutter F, Pajer K, Alda M, Uher R (2016) Stimulant Medication and Psychotic Symptoms in Offspring of Parents With Mental Illness. Pediatrics, 137: 1-10. Rasic D, Hajek T, Alda M, Uher R (2014) Risk of mental illness in offspring of parents with schizophrenia, bipolar disorder and major depressive disorder: a meta-analysis of family high-risk studies. Schizophrenia Bulletin, 40(1): 28-38. Uher R, Tansey EK, Dew T, Maier W, Mors O, Hauser J, Dernovsek MZ, Henigsberg N, Souery D, Farmer A, McGuffin P (2014) An inflammatory biomarker predicts differential outcome of depression treatment with escitalopram and nortriptyline. American Journal of Psychiatry, 171:1278-86. Tansey KE, Guipponi M, Perroud N, Bondolfi G, Domenici E, Evans D, Hall SK, Hauser J, Henigsberg N, Hu X, Jerman B, Maier W, Mors O, O'Donovan M, Peters TJ, Placentino A, Rietschel M, Souery D, Aitchison KJ, Craig I, Farmer A, Wendland JR, Holmans P, Lewis G, Lewis CM, Stensbol TB, Kapur S, McGuffin P, Uher R (2012) Genetic Predictors of Response to Serotonergic and Noradrenergic Antidepressants in Major Depressive Disorder: a Genome-wide Analysis of Individual-level Data and a Meta-Analysis. PLoS Medicine, 9(10): e1001326. doi:10.1371/journal.pmed.1001326. Uher R, Perlis RH, Henigsberg N, Zobel A, Rietschel M, Mors O, Hauser J, Dernovsek MZ, Souery D, Bajs M, Maier W, Aitchison KJ, Farmer A, McGuffin P (2012) Depression symptom dimensions as predictors of antidepressant treatment outcome: replicable evidence for interest-activity symptoms, Psychological Medicine, 45: 967-980. Skills for Wellness (SWELL) This study is developing and testing a cognitive-behavioural intervention for youth with affective lability, anxiety, psychotic-like experiences and basic symptoms with the long-term aim to reduce the risk of developing severe mental illness. SWELL is funded by the Nova Scotia Health Research Foundation.